Mother’s Day! It is the day to celebrate motherhood and honor all the mothers out there who shower unconditional love and gives immense strength. A mother is selfless, who puts all her priorities behind just to ensure the happiness and satisfaction of her loving child. Well, there is no doubt that a mother is above par everyone in this world and the best way to make her happy is to give her a wonderful gift on this special day dedicated to her. With mother’s day round the corner, it is understandable that most of us would be racking our brains to find a suitable for her. Though mothers are so self-effacing and do not expect a gift but just wants her child to reciprocate the unconditional love that she showers them, it is imperative to tell her how much she means to you but gifting her something that she will cherish for the rest of her life. Well, it is a busy world and you may not have the time to pick a gift for your lovable mom. Here are a few gifting options that you may like to consider. Check out the Bling iPhone cases, sterling silver rings, Samsung Galaxy cases, gold plated real rose, and rhinestones crystals watches, which are the hot favorites that have made it to the mother’s day gift list this year. 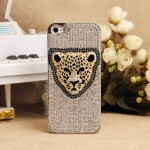 Bling iPhone cases: The 3D Crystals iPhone cases are sure to delight your mom. Check out the latest cases such as 3D Crystals Fox Charm Animal Fur Phone Clear Cover as it is available for all iphone models, and how can I forget to suggest last year’s hot selling iphone cover i.e. 3D Eiffel Tower Phone Case, and if your mom love vintage items then why not pick this vintage style black elegant elephant cover for iphone. Sterling Silver Rings: Sterling silver rings will be in fashion throughout the year and it is a woman’s best friend. Delight your mom with a wonderful piece of Sterling Silver ring and you are sure to see that beaming smile on her face. 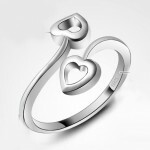 Some of the rings that you may like to check out are the 925 Sterling Silver Snake Shape Ring or this new hugging hearts ring that can be engraved with your mom’s name on it i.e. Hugging Hearts Personalized 925 Sterling Silver Ring, which would be a unique gift for a lady. Samsung Galaxy cases: Does mother have a Samsung Galaxy mobile? 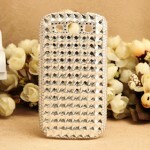 Check out the intricately designed Samsung Galaxy mobile cases such as the 3D Peacock Bling Case Rhinestones Crystals Colorful Beads for Samsung Galaxy S2, S3 and Note 2 and the Clear Rhinestones crystals Elephant 3D cover for women available for Samsung Galaxy S2, S3, Note 2, i9308, i9300 and i9100. 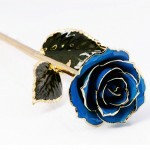 Gold Plated Real Rose: The Personalized Name Engravable 24K Gold Plated Real Rose will certainly be an apt gift that will make your mom realize how much she means to you, this gift I highly suggest is because a real rose is preserved and is plated with 24K Gold, it will keep this rose’s aesthesis alive forever and you can even engrave your mom’s name on this rose branch or with love quote! Rhinestones Crystals Watches: Watches have always been the right gift for women. And if the woman in question is someone who means everything to you in this world, it has to be the Rhinestones Crystals Watches! 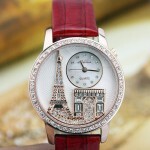 Check out the Melissa Brand Eiffel Tower Rhinestones Crystals Watch for women this watch design is in high demand these days all over the world, also you can checkout more high demand handpicked gifts for mom by clicking here. Make your mother happy with one of these gifts and you can be sure of seeing a smile on her face that will remain etched out in your memory forever!